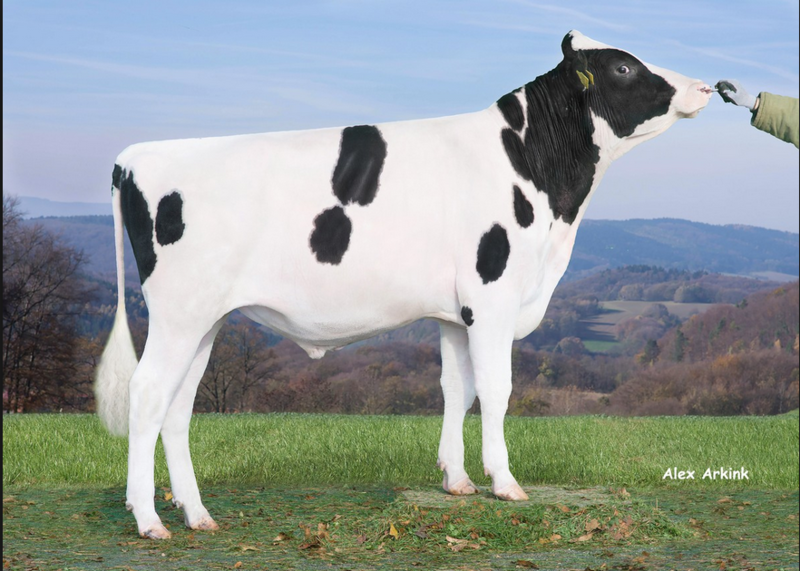 An exciting preliminary proof for DG Eli last week, with +1045 Net Merit $ she is the new #1 Net Merit $ heifer in Europe! 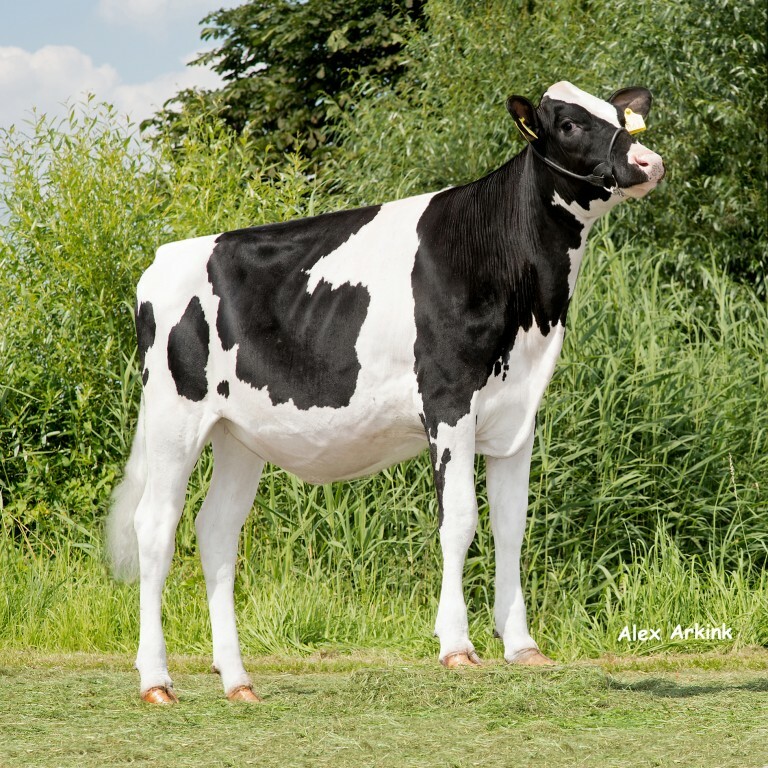 Eli is sired by De-Su Spectre and her dam is DG Albero Elise. Elise is a full sister to the popular sire ELDORADO at AI Total and backed by a strong line of the Savage-Leigh Bellwood Linda family! 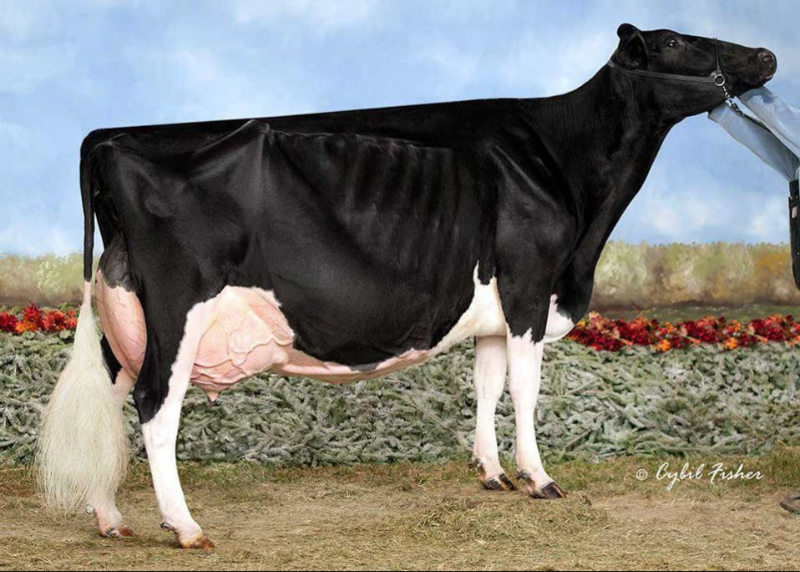 Highlights of Eli her proof include: +2128 PTA Milk, +197 lbs. combined Fat & Protein, SCS 2.69, +274 Feed Efficiency and GTPI+2806!